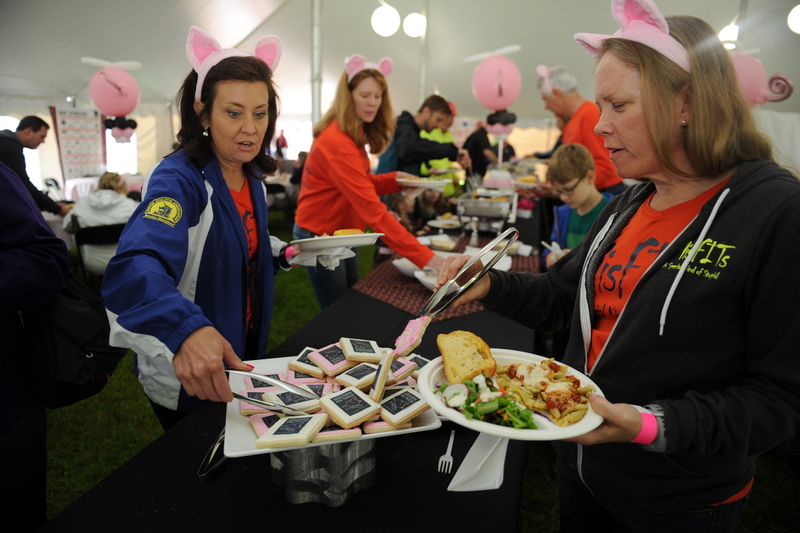 Looking for a place to have dinner Saturday night before the Flying Pig and meet your fellow runners and walkers from around the world? Join us for the Flying Pig “Pig Out” Pasta Party. Choose from two seatings, 5:00 p.m. and 6:30 p.m. at the Anderson Pavilion (under Carol Ann’s Carousel), located at 8 E Mehring Way Cincinnati, OH 45202. Tickets are $20 for adults, $10 for children ages 3-12 and children under 3 are free. Purchase your tickets during online registration or by clicking here.